The chances of an indie band making it are already slim enough without factoring in the absolute power of distribution that a record label brings. Not every band can sign with Universal, but you can still find ways to distribute your music online and make money with it. Even if it is a modest sum from a side gig. The scene is thriving, so there has never been a better chance for new music. This collection of tips shows how the indies are competing with pros. It’s worth exploring the origins of copyright before discussing how to distribute music online. Copyrights provide protections for you in the United States and around the world. These protections extend to songs, but they can also be your advertising or lyrics as well. Prior to the Sonny Bono Copyright Term Extension Act of 1978, artists had a 75 year limit on their copyrights. This meant an individual creator could lose the rights to his or her creation, and some other company could create alternate versions or, in some cases, just re-license the song entirely. After 1978, that limit went up to 95. These laws also protect so-called “works for hire,” which include compositions for television and film. The law increased the terms for those works from 95 years to 120. Copyright laws are important because they make it impossible for others to reproduce your work without your express consent. There are some limitations to what the laws can do, and there is a certain level of self enforcement that needs to happen at the indie level, but copyright laws give you some legal backing to bring a grievance forward. With a copyright on your side, you have more freedom to distribute your music openly on various platforms. iTunes, Amazon and others are the prime source for MP3s in the marketplace, but artists who attempt self-publishing rarely find the time to achieve that level of exposure. Signing up for these services individually, uploading all of your music, and then tracking your sales all take time. 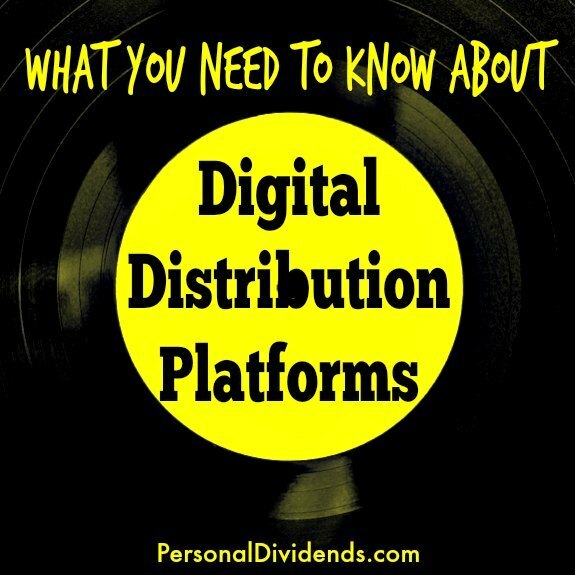 Learning how to distribute music online involves using platforms like TuneCore to handle the technical and back-end aspects of music distribution. They encode your files, and deliver your music to all of the major platforms. Indie artists who are finding success in places like Spotify and Rhapsody, are using distribution platforms to reach those fans. Some services can even help you recover royalties based on lyrics you write, or songs you help to publish. Share of revenue is a concern, so it’s important to balance your expectations. Some services won’t charge a fee, or a very large fee, upfront in order to give the artist access. But you pay in the back-end off of the songs you sell. Other services will ask for the fee upfront,or on a monthly basis, but the advantage is usually keeping the entire amount of sale. Self publishing has become more pertinent to the discussion of how to distribute music online. Many artists choose self publishing because they approach music as a side gig, or perhaps have not found success with labels. Some are just starting out and looking to gauge interest in their music. The trouble with self publishing is that it’s a narrow approach to distributing music online. Equivalent to putting all of one’s eggs in a basket. Musicians can use self publishing platforms like Amazon to quickly get songs out into the wild, where they can be promoted. The disadvantage is that you lose portions of the sale to the platform you choose, and you don’t control multiple channels of distribution. Although, Amazon does offer the option to sell a physical disk containing your work. Indie labels would be the next choice for small bands, but it takes time to get attention. Labels are usually on the hunt for local bands, so it helps to play live shows in your area and distribute demo tapes. The label takes care of most of the grunt work of submitting your work to various outlets. Many musicians aren’t relying on album sales to pay the bills, they are working on alternative forms of income. Running a blog can be a good place to start. Blog about topics that interest you and the band and work to increase your traffic each month. Then you can use advertising to add some extra revenue that compliment your music sales. Also seek out private events, like weddings. A great place to get exposure is playing acoustic guitar at a local restaurant.